Cat Compaction Control is a compaction measurement answer that improves quality and performance by providing information that allows the operator to find out whenever compaction fulfills specs, which eliminates guesswork, reduces the risk of rework and enables the operator to rapidly move on to next task. Cat Compaction Control is factory integrated with all the device, offering higher defense for elements. On padfoot devices, the machine utilizes Machine Drive Power (MDP) for measurement, a unique Cat technology that delivers much more consistent performance in cohesive soils than accelerometer based technologies. Two various compaction measurement technologies are available: Compaction Meter Value (CMV) or Machine Drive Power (MDP). Both technologies show real-time measurements regarding LCD display. Compaction Meter Value (CMV) is an accelerometer-based measurement system for granular grounds. 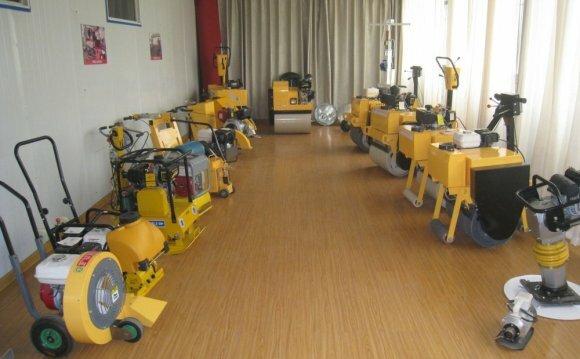 It's just available on smooth-drum soil compactors (CS designs). Working whilst drum vibrates, it steps deeply into the surface, 1.0 to 1.2 m (3-4 ft), supplying the operator with a photo of what exactly is underneath the surface. CMV can expose several things to a trained operator, for instance the location of hidden anomalies (hidden items, rocks, clay balls, etc.) or areas of poor compaction. It may even show the necessity for even more dampness to assist compaction. Machine Drive Power (MDP) is an exclusive technology only offered by Caterpillar. MDP shows earth tightness by calculating moving resistance. It's available on all Cat B-Series soil compactors- both smooth drums and padfoots. It is also employed by smooth drum machines equipped with padfoot layer kits. It is effective on all earth types, and may work whenever drum is fixed or vibrating. MDP measures closer to depth of the lifts of materials being compacted, around 30-60 cm (1-2 ft) deep. MDP is more flexible than CMV because it can be properly used on all soil kinds, and given that it steps more shallow than CMV, that allows brings about be correlated with portable measuring gear particularly lightweight dropping deflectometers and atomic gauges. Since it cannot require the drum to vibrate, discover less chance of de-compaction when useful for proofrolling.